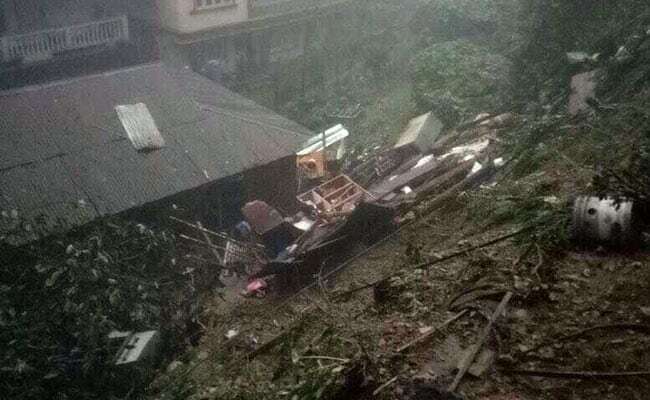 A house collapsed after a landslide hit it in Sikkim following incessant rainfall at around 2 am. While three occupants of the house were killed, two others were seriously injured. Landslides triggered by rains killed five persons in Sikkim. Landslides triggered by rains killed five persons and injured two others in south district of Sikkim today, officials said. A house collapsed after a landslide hit it following incessant rainfall at around 2 am. While three occupants of the house were killed, two others were seriously injured. In another landslide, two persons were killed in a house collapse at about 3 am at Upper Bokrong ward under Kateng Namphok Rateypani. SSP Pratap Pradhan said that a control room had been set up at Namchi Police Station. DC (South) Raj Yadav said the district administration has sought additional forces for search and rescue purpose. The district administration has evacuated families from vulnerable areas, officials said.